Today we are introducing you to the new Vector Inspector Pro, a very useful freeware plugin tool to automatically check your vectors and identify and fix any errors present in them! The reincarnation of the popular Vector Inspector Adobe Illustrator plugin, Vector Inspector Pro is compatible with the latest versions of Illustrator and comes with improved speed and a better capability to scan complex vectors. This plugin is certainly useful to ensure your vectors work the way they are intended to, and it saves you a lot of time and hassle in error scanning when working with Illustrator and vectors in your projects. And the best: it's free! You can download Vector Inspector Pro right here! Are you looking for fully functional, professionally designed vectors for your projects? 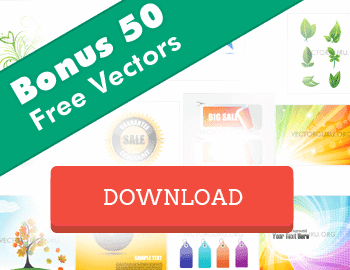 Check out Vectorfresh, with thousands of premium vectors for a one-time, super low fee! 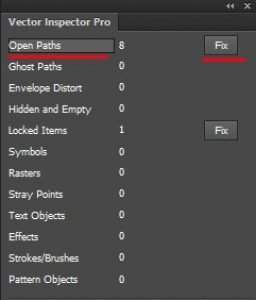 Vector Inspector Pro? What is That? 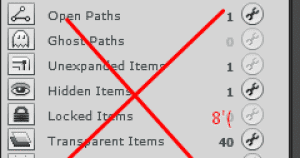 Going back to the early 2000's through the early 2010's, Vector Inspector was the go to Adobe Illustrator Plug-In for finding and fixing the various errors that can be found within vectors. However the project was abandoned by its lone developer, Nick Kinney, and fell below the radar into internet obscurity, especially as it wasn't compatible with newer versions of Illustrator. Recently however, a small team of developers over at MicroVector picked up the Vector Inspector mantle and set about releasing Vector Inspector Pro, more commonly known as ‘VIP', a new and upgraded version that does all that it's predecessor did and more! So, Whats New in Vector Inspector Pro? And more. But the new version adds a plethora of under the hood fixes that have resulted in a huge difference in speed, especially with complex vectors containing loads of elements. (For example C:\ProgramFiles\Adobe\Illustrator\Plug-ins). After that, restart Illustrator and enable the plugin in Illustrator's window menu under Vector Inspector Pro. After it has been enabled and opened, the plugin will automatically get to work finding any errors and offer you a button with the option to fix any errors that it has found. Simple, useful, and free! So go ahead and grab your copy of Vector Inspector Pro today! There are several versions of the Plugin available in the archive you download, so you must make sure to select the one that is compatible with your version of Illustrator. Awesome! Whats The Cost? Where Can I Get It? As with the previous incarnation of Vector Inspector, Vector Inspector Pro (VIP) is totally free of charge for you to download and use, however the developers do ask that if you find VIP useful that you donate a small amount of money to help towards costs, but this isn't mandatory for you to get full functionality from Vector Inspector Pro! To download your copy of Vector Inspector Pro, Click Here to jump through to the developers website and hit the big green download button under the title, it's that simple! And as always, let us know in the comments below how this tool helped you, or if there are any alternatives you would like for us to explore!